Green Stage: Unroasted beans. The beans are very dense and very hard. The beans last in this state for a long time. Yellow Stage: The first stage in roasting. The beans turn from green to a yellowish color. 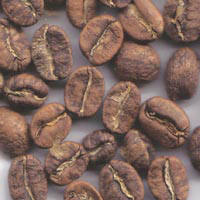 Brown Stage: The second stage in the roasting process. The beans begin to brown. 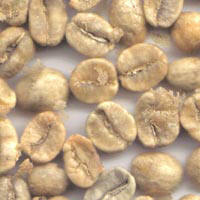 First Crack: At this stage the beans begin to expand releasing water and gasses trapped inside. This expanding makes a "cracking" noise. Also at this stage, the papery membrane surrounding the beans begin to peel off. This is called the coffee "chaff". 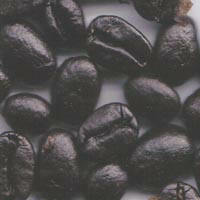 At this stage, the beans have a very uneven brown color. 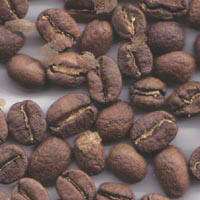 City Roast: The beans have a medium brown color. They have all expanded, reducing their weight, but nearly doubling their volume. 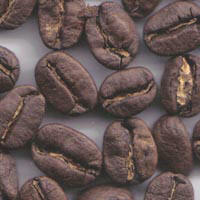 This roast is good to taste varietal character of a bean. Full City Roast: Medium dark brown color with some slight oily drops, good for varietal character with a little bittersweet, carbony flavor. 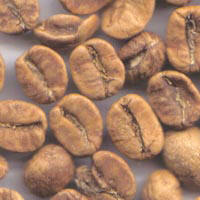 Vienna Roast / Second Crack: At this stage the beans turn a dark brown and begin going through a second crack. During the second crack the beans begin breaking apart due to the weakening of the cellulose structure. 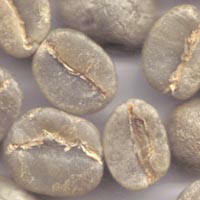 The beans begin to develop a carbony flavor, and you cannot taste as much of the beans natural flavor. 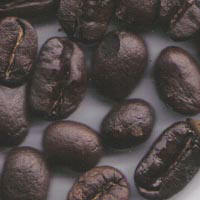 French Roast: The beans turn very dark brown, nearly black. They are very oily and shiny. At this stage you can only taste the carbony, burnt flavors of the coffee bean.